Thomas Stokke has been clicker training for dog sports for more 15 years and has trained gundogs (spaniels, setters and HPR’s) for hunting and trials for more than 10 years. 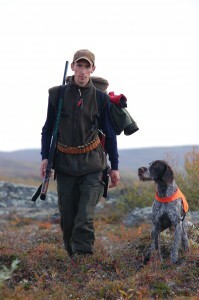 He has offered positive reinforcement foundation classes for gundogs the last 10 years. We discovered how well-mannered these dogs have become in everyday life and how much faster progress they had in other dog sport classes compared to the dog and handler teams that hadn’t gone through this program. Now we offer this class online for all breeds. Class will consist of eight lessons, with two weeks in between lessons, for a total of 16 weeks. Class starts June 12th.